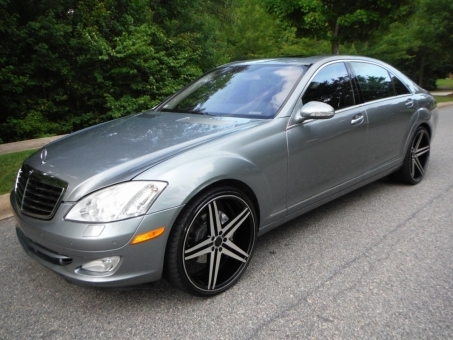 2007 Mercedes Benz S550V! Never been in a accident, everything works as it should, runs just as good as it looks! Never abused, non-smoker, no kids and garaged all its life. The engine sounds great and has a lot of power matted to the automatic transmission that shifts right through all the gears as it should. Dry underneath with no leaks. The car hits the road great and straight as an arrow down the road. The exterior shows extremely well, gorgeous grey paint. Loaded like any Mercedes should be with power everything, No bad smells, damage or issues and very clean on the inside.